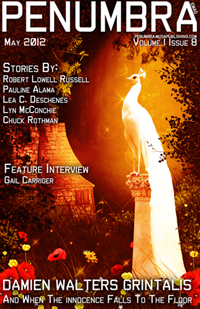 My space opera story “Price of Allegiance” is out today in the Politics-themed issue of Penumbra e-zine. When it comes to influence and power among the membership of the Galactic Union, Earth is near the bottom of the totem pole. So when an opportunity comes along to finally earn some clout and possibly gain access to advance alien technologies, Earth leaders jump at the chance. But things aren’t as they seem, and soon the humans are entangled in a dangerous power play that can determine not only the future of Earth itself, but of all the worlds within the Union. I’ve been concentrating on the anthology, but there are lots of other great writing-related news to report as well. Early this week I learned that my application was accepted and I’ll be attending Viable Paradise 16 – a very prestigious speculative fiction workshop that takes place on Martha’s Vineyard each October. I applied and didn’t make it in last year, but was encouraged to try again. I did, and it worked out. VP is an opportunity to learn from some of the top writers and editors in the industry. This year’s instructors include TOR editors Patrick and Theresa Nielsen Hayden, Elizabeth Bear, Steven Brust and James McDonald among others. I’m thrilled to be attending and hope it will help advance my writing to the next level. Speaking of workshops, much of that is about having other writers read and comment on your manuscript, which segues me nicely to the next bit of news. A guest blog post I wrote for Penumbra Magazine was published today. It’s called Get The Most Out of Beta Reader Feedback. As you may have guessed from the title, it’s about cabbage farming. Seriously though, if critiquing interests you, you should also go read Jake Kerr’s excellent Eleven Rules On How To Get Great Critiques. The cover above is from Penumbra’s Politics themed issue, which includes my story “Price of Allegiance” and is coming out in early July. Finally, I’d like to bring your attention to an excellent blog post by Jeff Chapman who selected my flash story The Traveling Fair (published by Every Day Fiction) as his story of the week and dissected it with some thoughtful comments and interesting things to say. Thank you, Jeff! 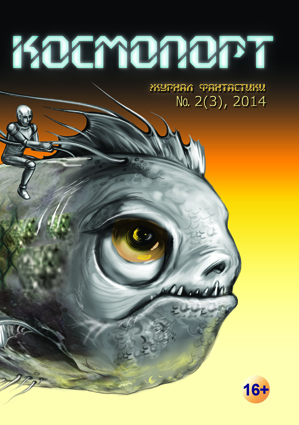 I will be attending BaltiCon, a science fiction convention in Maryland over the Memorial Day weekend. This will be the first non-gaming science fiction convention I attend on my own. Anatoly Belilovsky was kind enough to bring me along on a day trip to LunaCon a few months back (which I enjoyed a lot) — but this will be the first time I attend on my own and stay overnight. 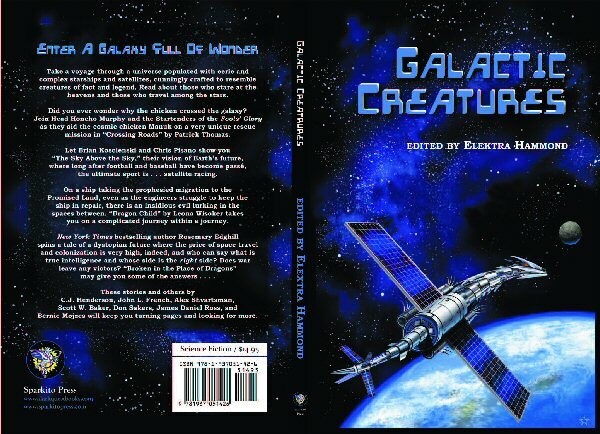 The main reason for my trip is to attend the launch of “Galactic Creatures,” an anthology from Dark Quest Books’ Sparkito imprint, managed and edited by Elektra Hammond. This was the first anthology project I was directly invited to participate it, and will be the first physical, printed *book* that I’m in. I’ve been published in e-book anthos and printed magazines, but never in an actual book. . I owe many thanks to Elektra Hammond, who not only had enough faith in me to invite me to this project, but also kindly encouraged me to come out to this convention. I’m still a little anxious because I know practically no one there, but she managed to convince me that I should go, and now I’m super excited and can’t wait for the weekend. 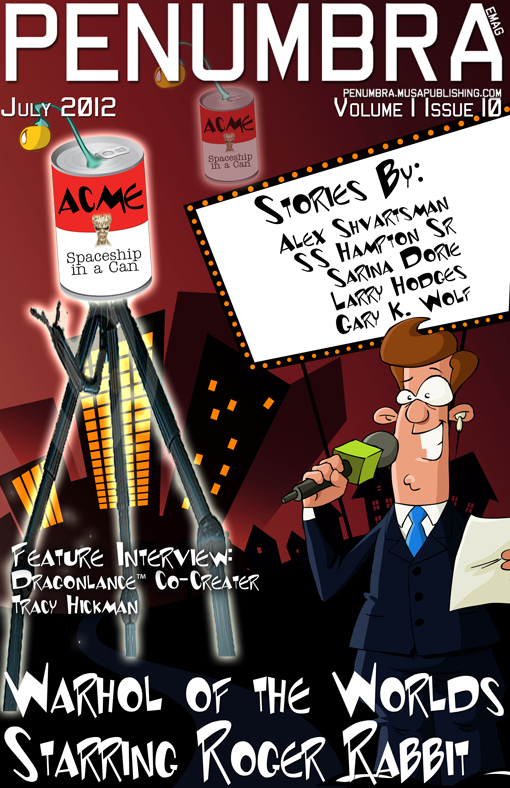 And, on top of everything else, I will get to do a brief reading from “The Dragon Ships of Tycho,” my “Galactic Creatures” story. I’ve done a fair amount of public speaking in the gaming industry and have no fear of it. However, while I can speak well guided by a handful of bullet points, I’m *terrible* at reading aloud from the page. I realize that this is a weakness I have to correct if I’m to take writing seriously. If I’m successful at writing, it’ll come with more public reading opportunities in the future, and I have to prepare. So I’ve decided to practice. I read the beginning of “The Dragon Ships of Tycho” out loud several times so far, using a timer so that I could figure out where to stop without going over my allotted five minutes of infamy. My first reading was pretty awful, but it got a little better with each pass. Reading an article about reading aloud by Mary Robinette Kowal posted on the SFWA web site was also very helpful. I’ll continue to practice until the weekend and, hopefully, manage to put on a decent performance on Sunday. If you are attending BaltiCon, I hope you’ll consider stopping by the Dark Quest Book launch party, which is scheduled for 7-9pm on Sunday in the Garden Room. And if you see me wondering the convention halls at any point during the weekend, please do say hello. There’s only a small chance I’ll then follow you around like a lost puppy, I promise. “Price of Allegiance” was among the first stories I wrote, back in 2010. The original iteration was unpublishable — it was poorly structured, featured a ton of exposition and suffered from most other faults that afflict the beginner writers. But the idea behind it was good — good enough that I didn’t want to give up on this story. I kept rewriting it, and each iteration became a little better. I had to eliminate some of my favorite lines and even scenes in the story, but those painful cuts improved it overall. I changed lots of things about it, until finally I felt like the story was good enough to be published. Around the same time, Penumbra Magazine announced the upcoming lineup of issues which included a politics-themed one. “Price of Allegiance” is all about the interspecies politics on the galactic scale. The fit seemed perfect. So much so that I not only held the story until the submission window opened up, but trimmed it even further in order to make it fit within Penumbra’s length guidelines. The wait and those painful cuts of the extra few hundred words were worth it. After several close-call round 2 rejections for other issues, Penumbra has accepted “Price of Allegiance” for inclusion in its July issue! I very much look forward to appearing in Penumbra, and this latest story sale is timely in that, along with last week’s Nature publication, it provides a much-needed confidence boost for my trip to BaltiCon. I hope to see a few familiar faces there, and especially look forward to making new friends.